If you’re wondering where The High Five got its name, look no further than your local dispensary. 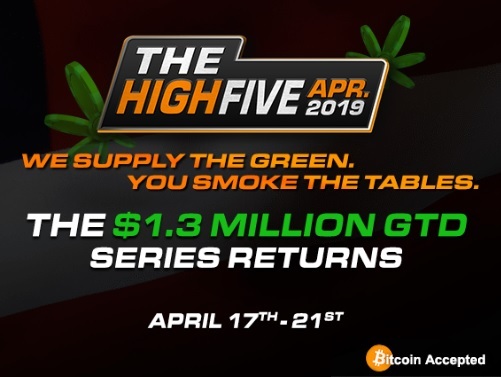 Americas Cardroom seems to think that a lot of poker players like the green stuff, so they’ve given The High Five a 420 theme. But there’s more to this than a marketing gimmick. The High Five really is one of the most popular poker tournament series, simply because it appeals to players of all stake levels, bankrolls, and skill levels. Buy-ins are small enough that everyone can feel comfortable playing in it. And guarantees are impressive enough, even for high rollers. In the mood for something much bigger? You won’t have to wait long. This July, Americas Cardroom is running The $5 Million Venom, a single tournament that spans multiple days and features $5 million in guaranteed prize money. For more information, visit their website via the link below to also receive 27% rakeback if you’re a new player. BetOnline and sister site Tiger Gaming are running two extra freeroll tournaments this month as part of March Madness. Find the dates and freeroll passwords below. All players are welcome. New players can take advantage of $10,000 in new player freerolls, and a signup bonus of 100% up to $2,500. 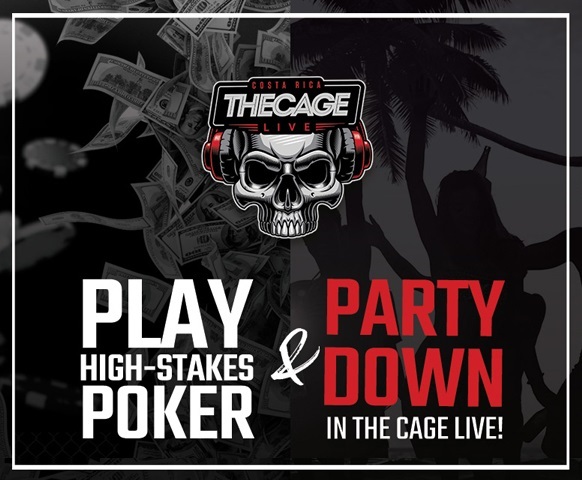 The Cage Live is a land-based poker tournament held in San Jose, Costa Rica, and you can win a free all expenses paid package on Americas Cardroom and other WPN skins like Black Chip Poker or Ya Poker. Just play in ACR’s $55 Beast and Sit & Crush Cage Live satellite this Sunday night. Two packages ($8,340 value each) are guaranteed and they include the $5,250 buy-in, $800 in airfare, $1,000 in spending cash, and up to three nights at the 5-star Taormina Hotel and Casino. Want another reason to play in the Cage Live? This is the perfect blend of poker and partying in an exotic location. Players also get a personal tour of the Americas Cardroom offices to see the day-to-day operations. The $5 Million Venom Tournament with a $1 Million first-place prize is also coming to Americas Cardroom in July. Win your $2,650 seat via their Step Tournaments for FREE. OSS Cub3d is also running now until March 10, ending with a $1 million main event on March 10 at 1pm ET. Find the passwords below to our upcoming March freerolls on the Winning Poker Network (WPN) to celebrate OSS Cub3d. They work for both Americas Cardroom (US players) and Black Chip Poker (EU players). Join Americas Cardroom or Black Chip Poker via Rakeback.com to receive 27% rakeback on demand. Online poker is a very popular game for many people around the world with huge tournaments taking place online each week. Of course, as with any type of gambling, online poker comes with some regulations in order to protect players and the operators. These regulations have changed over time and they are expected to change even more in 2019. Here, we are going to discuss the 2019 forecast for online poker regulations. Keep reading to find out more about this. First, we’d like to talk about what online poker is and why it is so popular. Essentially it is an online version of the classic poker game, allowing players to win a lot of cash online. Many casino sites offer this type of game and people take part in tournaments when they can. You can find out more about what online poker is here: https://www.newcasinosonline.co/online-poker/. Online poker is a game that is legal in the UK and has been since 2005 and the launch of the Gambling Act. 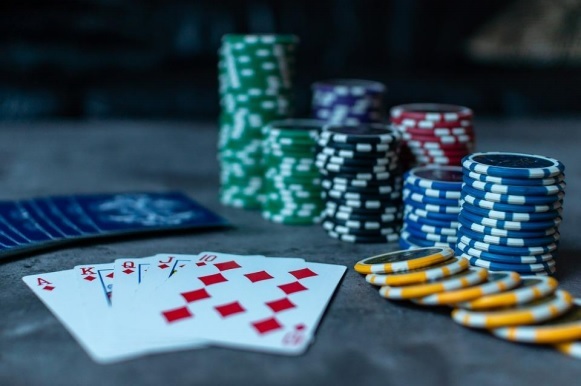 Of course, it is still an activity that is heavily regulated by the UK Gambling Commission who issue licenses to operators of online casinos and poker sites. The most recent update in the law for online poker in the UK was in 2014 when the UK Gambling Commission decided that operators outside of the UK who still target this market need to also hold licenses issued by the UK regulatory body. This affected many operators, but they have either changed their target market or obtained licenses by now. While there have been new regulations on other forms of gambling in the UK such as the regulations on FOBTs, there doesn’t appear to be much of a direct impact on online poker. Operators should be aware of all regulations set out by the UK Gambling Commission in 2019, however, as last year saw this body clamp down on operators and remove their licenses. We expect to see even more of this in 2019 so look out for it. The regulations in the UK that surround online gambling are a little confusing as they differ from state to state. While some states like Nevada and Delaware have legalised online gambling including poker, other states are not so quick to follow. In 2019, it looks as though the state of New York is currently in talks to legalise and regulate online poker for those that live there. There is a huge potential market for online poker in New York and across the USA so we predict that 2019 will be a huge year for this type of game in this region. Online gambling and online poker, in particular, are not legal in every country around the world but you will find it in some European countries. In 2019, we have already seen companies like 888 being approved for online poker in Portugal and we expect to see more of this in 2019. While this will still be heavily regulated, the laws will change to give more people the chance to try out the game. Look out for more regulations hitting the European market as government bodies take the lead from the UK Gambling Commission and their tight grip on the online gambling market in the UK. Online poker is set to become even bigger in 2019 but there are also plenty of new regulations that will affect the popularity of this game. Operators will be forced to follow the rules and regulations that are set by the relevant bodies and they must adhere to them or face losing their license. Make sure to find out about any new online poker regulations in your country and follow them carefully if you are an operator. As a player, all you really need to worry about is if a site is licensed or not. The regulations tend to be directed at the operators so you can keep winning cash online playing your favourite game without too much added stress in 2019. Leading US-facing online poker site Americas Cardroom (and rest of world skins such as Black Chip Poker and Ya Poker) are bringing back their popular OSS Cub3d for a 7th time from February 10 – March 10, 2019. It will award over $8 million in guaranteed prize pools and poker players are already gearing up for a piece of the action. The MOSS is geared towards small stakes players with $1 million in guarantees over 48 events. The $300,000 GTD Main Event is at 3pm ET on Sunday, Feb 17 ($88 buy-in). The flagship OSS has $4.3 million in guaranteed prize money over 96 events. The $1 Million GTD Main Event is at 3pm ET on Sunday, Mar 3 ($540 buy-in). Finally the high roller BOSS comes with $3.2 million in guarantees over just 25 events. The $1 Million GTD Main Event is at 1pm ET on Sunday, Mar 10 ($2,100 buy-in). The OSS Cub3d also has another feature in store. There are three separate leaderboards (MOSS, OSS, BOSS) that will award 10 total seats (worth $2,650 each) to the upcoming $5 Million GTD Venom tournament. The Venom tournament is poised to be the biggest tournament in online poker history for U.S. players. A guaranteed $1 million or more for first place. If you don’t win a seat via the leaderboard, you can buy in directly for $2650 or freeroll your entry via 24/7 step tournaments and satellite qualifiers. Finally, take advantage of the special 50% Reload Bonus up to $300 from Feb 17 -23. 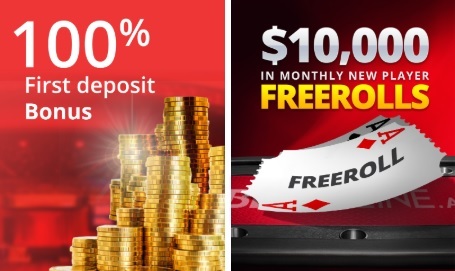 Use code BACK when making a deposit and Americas Cardroom will give you the free extra cash. To learn more about these latest Winning Poker Network promotions, click here or use any link on Rakeback.com to visit the ACR website or other WPN skins. If you’re a new player, you’ll automatically open a 27% rakeback deal account using any of our links.